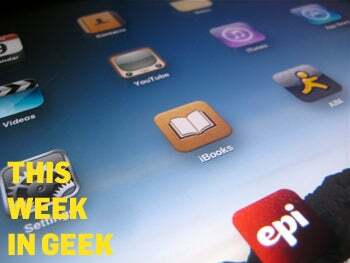 This Week In Geek: An Apple-Microsoft Love Fest! Our iPad coverage continued this week when Alessondra Springmann takes you through a look inside Apple's new iPad only processor, the A4. The iFixit and Chipworks teardown offers a detailed view at the new chip, which you can check out here. For your daily dose of geek be sure to follow the GeekTech team on Twitter and become a fan of the GeekTech blog on Facebook.